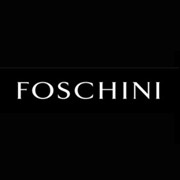 With over 200 stores located in prime shopping centres and CBDs in Southern Africa, Foschini is the top-to-toe destination for the fashionable woman. These stores offer ladieswear, footwear, accessories, fine jewellery, cosmetics and fragrances, as well as kidswear. Foschini is the second largest departmental retailer of cosmetics in South Africa, representing the major international brands including Clarins, Clinique, Revlon, Elizabeth Arden, Yardley and L'Oreal.